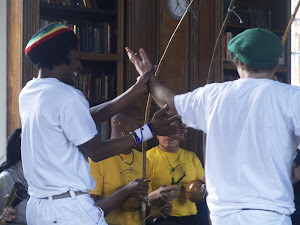 Capoeira Angola - South London: Roda Memorias da Gingibirra at fica london today. Roda Memorias da Gingibirra at fica london today. As a special event the monthly roda will not be at the YMCA but at FICA London today. Next month it will be back in the YMCA. Roda starts at 7'30. Fica it's easy to get to, see www.ficalondon.org.